What if School Were Out Forever? As schools start opening their doors to yet another year of students, teachers and classes, what if we paused to imagine a world without schools as we know them. What if schools became extinct? It's important to clarify that the question is "what if schools became extinct," not learning. Spending the past week at the International Democratic Education Conference (IDEC 2013) my eyes have been opened to the possibilities and potential of alternative and democratic education. Just as with the Internet, the Maker Movement, and PSY, Democratic Education is a trend that has been bubbling quietly for a while now; but, seemingly overnight, you'll struggle to imagine what your life was like without it. It is a perfect example of transforming the world from the ground up, from the people and for the people. But what is this Democratic Education Movement striving to do? It is the catalyst for mass education reform: the frontline of replacing the industrial model of education. Sir Kenneth Robinson's TED Talk may have brought the idea -- and possibility -- of massive education reform to the masses, but witnessing the actions (not just ideas) of the hundreds of people from all over the World at IDEC 2013, I've come to realize, monumental education reform isn't just an idea people share in order to be part of a worthy conversation; it's something a rapidly increasing number of people are actively doing in order to transform the world from the ground up. In Chris Anderson's book, Makers, he writes about how technology over the past few decades has radically democratized the more industrial sectors of our lives. First, the Internet disrupted the traditional exchange of and perspective on information from a few minds and sources to whomever had a keyboard and idea worth sharing. Currently, 3D printing is wrestling the control of manufacturing from the realm of industrialists mass producing goods and putting that power in the hands of innovative individuals. What if, the third revolution to cleave us from the industrial model so much of our lives have been crafted to conform to is that of education? The way this revolution differs from the two preceding it is that technology isn't the primary push behind it; it's people. Technology has, however, been instrumental in crafting the spirit propelling it, though -- could we have massive education reform if we didn't first witness how the people could so effectively take back the power and control of the industrial behemoths of media and manufacturing? What exactly is Democratic Education? By definition, it's tough to nail down a single definition. In fact, according to one of the leading figures of the modern, Democratic Education Movement, Yaacov Hecht, democratic schools have, traditionally, resisted defining what it is they are. However, Yaacov claims that "any school can call itself a Democratic School if 'What is democratic education?' is the central question of its daily life. That that question is constantly asked, explored and tested." Instead, of teasing out the myriad directions that definition could go, let me introduce some of the movers and makers I met at IDEC 2013 and what they're doing within the movement. From the work and ideas they're developing, you should be able to see for yourself how it may not be a question of what if schools become extinct, but when. 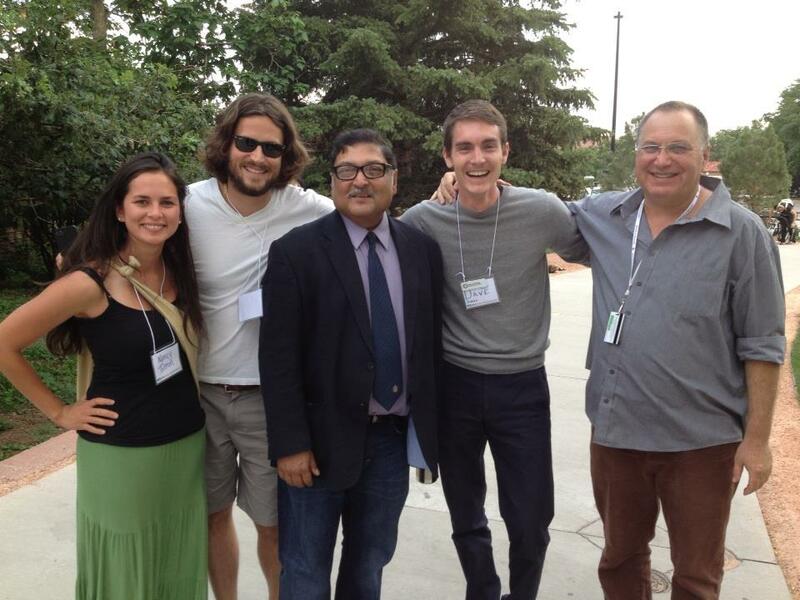 Sugata Mitra: Sugata, along with Sir Kenneth Robinson, is one of the biggest names in education reform out there today. He advocates for taking a "leave them alone" approach to getting to the core of what students must know, instead of what they should be taught. Nancy Tilton: Nancy is one of a growing number of edupreneurs who has taken it upon herself to manifest change by starting The Mosaic School, which instead of being a traditional school, is "a community where child, teacher and parents are all connected to create an atmosphere full of joy, peace and inspiration." The Mosaic School is setting a new model for a larger network of micro-schools (or macro-homeschools) that were community based, driven and connected? Darcy Dedortha: Darcy is the founder of the Symbyo Project, which sets out to help student outliers claim their significance by discovering the gifts the world needs them to offer. Monika Hardy: Monika is on a mission to Redefine Schools. In doing so, she's actively asking the question: "What if our communities became our classrooms?" What if schools were no longer places, but experiences where exploration and interaction replaced walls and instruction? Dave Dobias: As Executive Director of Black Mountain Sole, Dave is using his energy and experience to encourage Self-Organized Learning Environments for Higher Education. "Everyone is an expert in something. We also all have weaknesses, but what if our educational experiences allowed us to build on our strengths until we had the confidence and competencies to better develop our weaknesses?" "What if schools were designed to stop preparing people for the past and start preparing people for the future?" What if you were to join this movement? What if, instead of having schools we attended and left, we all engaged in educational experience opportunities that spanned the lengths of our lives?